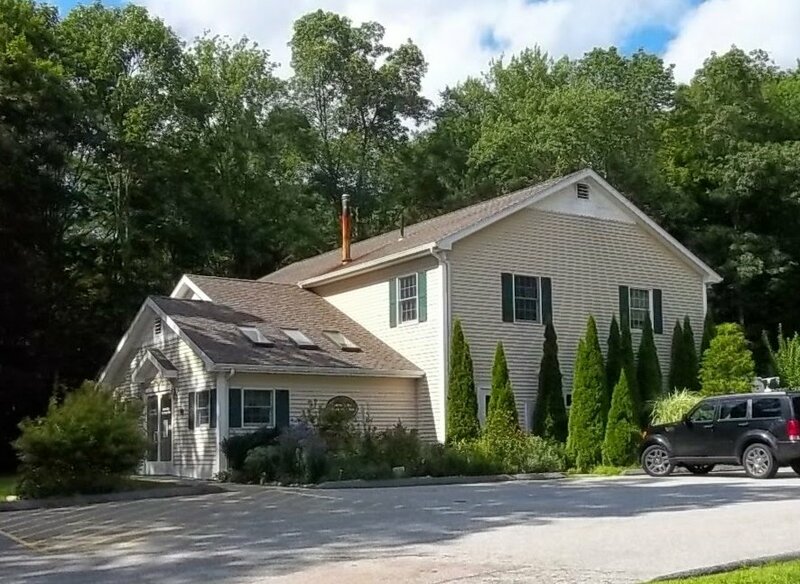 The Salem Valley Veterinary Clinic is committed to serving the community by providing the highest level of veterinary care built on knowledge, compassion, and integrity to make a difference in the lives of cats, dogs, equines and their owners. Our clinic is full service offering wellness care, vaccinations, laboratory diagnostics, radiology, surgery (including spaying and neutering) and dental care. We presently offer Royal Canin, Hills, and Purina Prescription Diets to meet all of your pet’s nutritional requirements. We also carry flea, tick, and heartworm preventative products. Beyond first-rate pet care, we make our clinic comfortable, kid-friendly, and calm, so your pet can relax in the waiting room and look forward to meeting with us. Your pets’ health and well-being are very important to us, and we are devoted to providing our patients with the care they deserve. If you have any questions, please do not hesitate to contact us at 860-859-1649 or email us and we will promptly get back to you. "We love Salem Valley! We drive all the way from Groton, past many other vets to come out to SVV so we can enjoy the compassionate care we receive here. Never pressured to overspend, always quick to get us in but never rush us out." "I feel I received the very best care my dog could have. There is no one better than Dr Baratt. His knowledge and caring is unmatched!!" "Dr. Slater & the staff at Salem Vet. are fantastic-I would not take my dogs anywhere else but here. Always greeted by the most polite & efficient office staff, and Dr. Slater is the best as always. My pug, Bella, always gets so excited when we bring her." "Salem Valley Vet Clinic is by far one of the greatest clinics I've brought my pets to. They know how much I care for my furry children and they are always looking out for whats best for me and my pets." "Greeted immediately as I walked In, staff very friendly and knowledgeable. Dr. Baratt is awesome. Listened to me and be quickly diagnosed my pets issue and decided on a treatment plan. Absolutely recommend this place." "Thank you for taking such excellent care of our Brady. Coming from a larger facility, it was a breath of fresh air to get such one on one attention and responses to our concerns directly from Dr. Baratt. We also loved the followup report and images." "Absolutely loved this clinic. I drove over an hour to have my dog seen by Dr. Baratt for oral issues that no vet near me could help me with. Dr. Baratt was able to quickly identify my dogs problem and the treatment he gave us is working great!!!" "The staff and Dr Sarah have always been extremely helpful." "Friendly, caring staff answered all my questions and kept my pets at ease the entire time. Thank you!" "Love it there! Because of Dr Slater! She is excellent!!!!!" "This was our visit to Salem Valley Vet Clinic, and it was terrific. Everyone we interacted with was friendly, helpful, and informative. We had many questions about having a puppy, and they were all answered. We couldn't be happier with our visit!" "You all do such a wonderful job dealing with my anxiety ridden dog!"